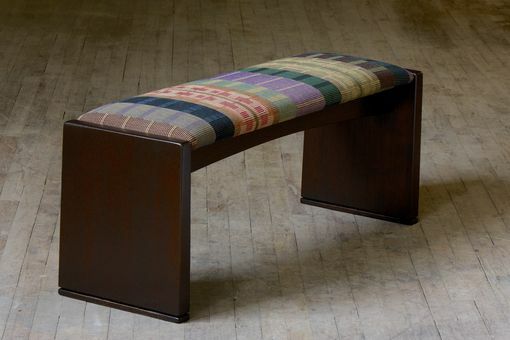 Upholstered bench out of brown stained ash with custom upholstery. 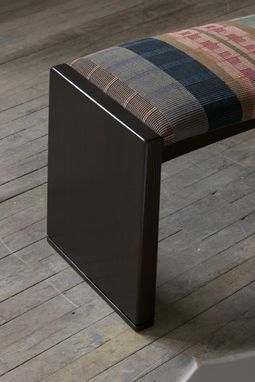 Upholstery is representative of work of weaver. Contact for patterns available. 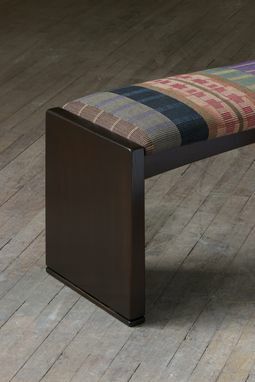 A 1/2" thick ebonized ash foot provides an accent where the base meets the floor.